This is Part Three of a 3-part series. See Part One and Part Two. The bureaucratisation of funding has had significant implications on the quality of funding. Here we must ask who gets access to funding and what is counted as being important or valuable. Funding is more and more tied to the outcomes funders want to see, meaning that groups sometimes need to shift or report on their activities in such a way to meet the objectives of donors rather than being led by their own agendas. For example, what are the implications of weighing more heavily internal financial and reporting systems over understanding to what extent work is rooted in the priorities set and led by women’s, girls’ and trans* people? We saw how this shift impacted the results of the Dutch FLOW2 fund, where women’s rights organisations, networks and funds initially did not receive funding for their work and many did not even pass the threshold criteria. Donors need to shift away from the default of who receives funding: those who they are familiar with, often larger organisations in donor countries or in a country they know well who can deliver familiar formats of results. Rethinking criteria to ensure that transformative social change is prioritised, in addition to technical requirements, may be one way forward. From this perspective, it is imperative to challenge assumptions that funding will reach women’s rights organisations through general civil society organisations, and for us to demonstrate why it matters to directly support a range of feminist organising—from small or informal organising to large or formal organisations led by women, girls and trans* people. Funding that trickles down: whose priorities lead? One hurdle within the context of European government funding, particularly the Dutch context, is that applicants are asked to invest significant amounts of energy into accessing resources without any certainty of success. Professionalisation is required – but not funded: elaborate applications including complex theories of change are prioritised, including significant work to systematise internal processes in order to meet threshold requirements, and usually requiring experts and consultants to support the conceptualising and proposal writing phases. This investment seems largely invisible to funders who demand criteria be met, but do not acknowledge the high cost to applicants. The ‘make bigger grants to fewer organisations’ trend, which severely limits who accesses funding directly, could be an opportunity for women’s funds to act as fund managers as well as receive funding to ensure that they reach smaller groups. Small grassroots groups are often inaccessible by larger funders (and vice versa) and are therefore at real risk of being excluded from receiving funding for their own agendas and priorities. This is the case also for larger women’s groups that may be considered too small to access large government grants and too big to access funding from foundations working on women’s rights. The emphasis on global south and priority countries may also mean women’s rights organisations in Europe and Central Asia are excluded from funding. Theo Sowa of the African Women’s Development Fund notes that bilaterals in particular want to commission out their work because they don’t have the space and capacity to do it themselves. How can we, as women’s funds, respond to this trend responsibly and be accountable? We know that large consultancy organisations have learned to cost in communications and technology into their work in a way that women’s funds and organisations have not—and are very adept at securing contracts to administer funds. As Theo Sowa shared, “we end up giving away our knowledge for very little in return.” In the context and discussions about how funding is allocated and the role of intermediaries, we need to have conversations about which intermediaries can deliver funding in a way that is supportive of feminist principles, movement agendas and priorities. This starts with shifting the narrative that says that just because feminist organising can bring about transformative change on shoestring budgets, they don’t need more or better funding. Let’s be clear: underfunded movements are not the result of a lack of strategic vision. 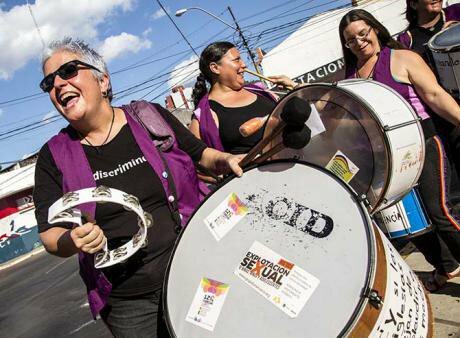 Funders can and must do better to support efforts to communicate victories achieved, lines held as well as challenges experienced by feminist organising. We owe it to our movements to ask who gets counted in and can access funding and on what terms. It is within this context that supporting and resourcing movements means that we as funders need to be more intentional: when we make the case for ‘more’ funding, it should be within a framework of ‘better’ funding. Better funding helps to link actors, build joint agendas, and contribute to the infrastructure of movements. Funding needs to take into account the fabric of what makes up a movement, at the organisational level and the collective level. It is in the collective mobilisation, the collective power of many activists and organisations that we see change happen. It is also important to keep in mind that we are talking about social change, which is not and cannot be stagnant. While we know certain levels of bureaucracy and professionalism are necessary, it can go too far – so far that movements can become static and harmed. As professionalisation is being required, the funding industry demands requiring elaborate applications that include joint or many theories of change, significant work to systematise to meet threshold requirements, usually requiring experts / consultants to support such processes. This time and resource investment seems to be invisible to funders who demand these criteria be met. Private philanthropy especially has a role to play in funding what governments more and more will not or cannot fund— the under-addressed, underfunded populations, areas, movements. Evidence shows that autonomous feminist organising is a key lever for lasting change: for example, a global study concluded that, in over 40 years of data drawn from 70 countries, the presence of strong feminist movements was the single most important factor in bringing about changes in a country’s willingness to recognise and address gender-based violence. In determining that feminist movements were more important than a country’s economic growth, an increase in women’s representation in government, or the presence of a left-wing government, researchers revealed that countries with strong women’s movements operating independently of political parties were more likely to have progressive social policies, in this case, on preventing violence against women. 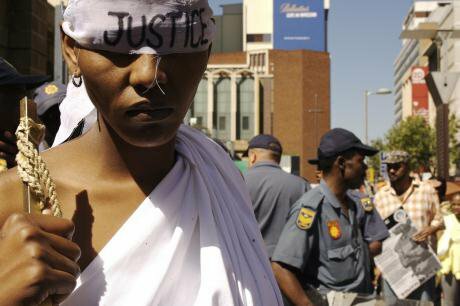 There are fantastic examples of philanthropy resourcing social movements well. 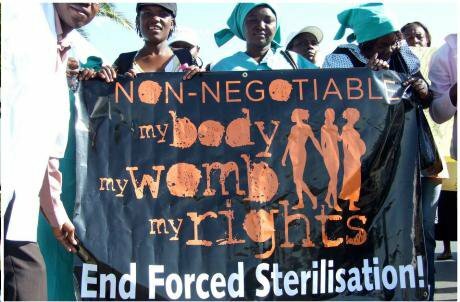 For example, flexible, long-term funding bolstered organising efforts of HIV positive women in Namibia to stop forced sterilisation, or the IM Defenders Initiative to protect women human rights defenders in Mesoamerica (see Part One of this series). Emerging new funds, such as the International Trans Fund and the LGBTQ Racial Justice Fund are seeking to shift philanthropic practice and channel resources to underfunded movements. Given the shifting and complex environment we find ourselves in today it is pertinent to continue pushing for more and better funding for movements, including feminist movements where autonomous women’s, girls’ and trans* rights organisations are in the driver’s seat, are well-funded and seen as key partners in efforts aimed at bringing about lasting and transformative change. This work is not going to get any easier: with a Trump Administration, Brexit, closing space for civil society and physical danger facing women human rights defenders around the world, we must find stronger ways to make the case to decision makers who are not yet convinced of the value of including and directly funding women’s, girls’ and trans* people’s perspectives and solutions.